Design Pools was started in 1987 and serves area homeowners as custom pool builders in West Palm Beach, FL. We offer professional, high quality pool construction, and can provide an entire package, including decorative concrete, pavers, water features and waterfalls, fencing, screen rooms, minor landscaping and anything else necessary to turn your backyard into a relaxing getaway. If you are looking for innovative pool ideas in West Palm Beach, FL, we are the business to get in touch with. Our owner and manager, Bruce Kingsbury, is both a designer and a contractor at heart. His degree from Genesis III Design School gives him a creative and cutting-edge perspective, and his certification as a pool contractor ensures that he builds only the safest and most structurally sound pool designs. His artistic eye, combined with his desire to respond to client needs and wishes, results in a pool that is not only visually pleasing, but also fully integrated into the environment and compatible with the client’s lifestyle. From the beginning, Design Pools’ goal was to build excellent custom pools and spas using only the best craftsmanship, equipment and materials. Over 25 years, hundreds of clients and countless designs later, our goal remains the same. We are proud of the strong word of mouth reputation we have built as designers and pool builders in West Palm Beach, FL, and we always look forward to tackling new challenges and coming up with bold new designs. 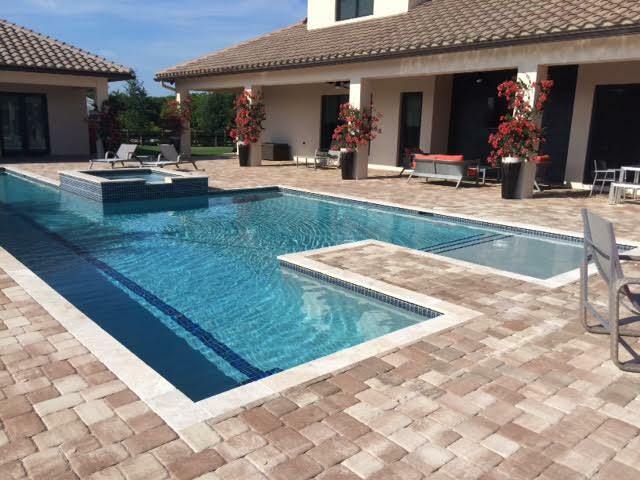 If you would like to learn more about our services or receive an estimate for a new pool construction or remodel, please give Design Pools a call at 561-471-0047 or visit our Contact Us page. We look forward to working with you to create a pool or spa that pushes design boundaries and adds a wonderful new element to your home.